Knowing when and how to check your Social Security Disability claim status (SSDI) or your Supplemental Security Income (SSI) benefits application can speed up the time it takes to receive a decision. This former disability examiner explains how to check on a Social Security Disability claim in the right way. A few tips on what Social Security Disability Examiners are looking for in evaluating common disease conditions, including back problems, arthritis, fractures, vision, asthma, COPD, CAD, HBP, CHF, chronic liver disease, kidney disease, diabetes, seizures, and mental allegations. Getting SSI and Social Security Disability Benefits: An Overview of the Five Step Sequential Evaluation Process Disability Examiners Use to Allow or Deny Your Application for Benefits. Winning a Social Security Disability case for someone who suffers from Chronic Fatigue Syndrome and/or Fibromyalgia (CFS/FMS) can be difficult. Attorney Sheri Abrams shares her approach and technique. Tips for A Fast Disability Decision section. Here's a 2004 survey by GAO which, to me, highlights a few reasons why it is essential that you do all you can to assist your disability examiner in the processing of your claim. With inadequate resources and inadequate examiner training, some examiners may not even have the knowledge base to get you approved for Social Security disability benefits. 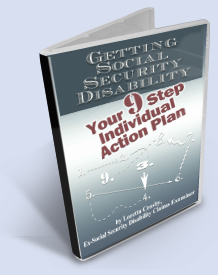 More Articles to come in this new Social Security Disability resource...join my newsletter to be notified when new articles are added and other site updates.